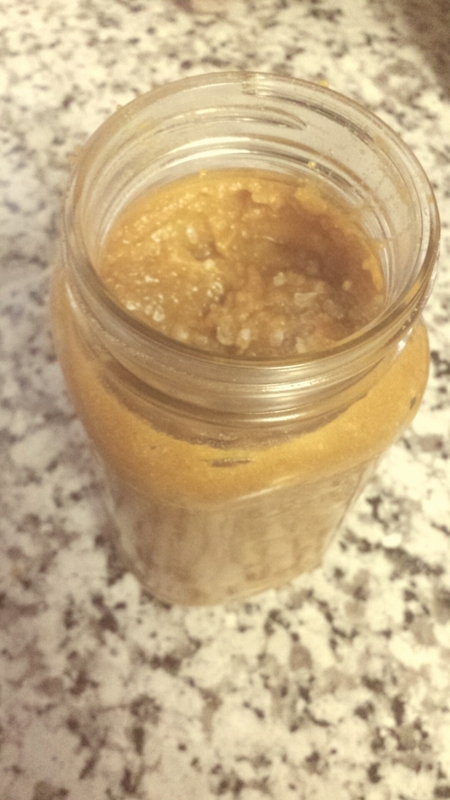 This pumpkin and cinnamon body scrub will get you in a holiday mood with it’s yummy scent and smooth feel on your skin.Â If you want to share, make a couple extra batches and give them to family and friends. Fancy up the scrub in a clean mason jar, by adding a bow or printing out a pretty label. Mix all ingredients together until blended well. Once done scoop scrub into a clean mason jar for storage. Toss a pinch of sea salt on top for a nice look. Use this scrub twice a week to exfoliate your skin. The pumpkin scent is great for this time of year, and it actually helps control acne-prone skin. The sugar is what helps with exfoliation, and the coconut adds much needed moisture for baby-soft skin. Be sure to keep the scrub refrigerated so it lasts 3-4 weeks, or toss it out once you start noticing its spoiling.